So much has changed since I started out in creative design. Back then, the only people who used computers were the typesetters (a now-extinct career field). Creating a printed brochure required several stages, starting with design comps drawn by hand, then on to finished mechanical art boards, followed by creating negative film and finally to printing plates for the printing press (again, several career fields that no longer exist). Today, projects often go from computer to printing with no steps or people in between. Welcome to the digital world! Most law firm marketers probably inherited the brands they champion from a pre-digital era. Legal marketers who have embarked on even more recent law firm rebranding efforts might not have considered all aspects of how today’s digital age will affect their brands. The fact is, however, that while the advent of digital has revolutionized the world of branding, some of today’s key brand elements have their roots in the original physical world of printed materials. Today’s rising dominance of digital marketing has added new challenges to companies’ branding efforts. Gone are the days that a simple Pantone number would manage your visual brand or that your message could easily be conveyed in your print materials. Maintaining your brand identity in today’s interactive world requires a new way of thinking. How your graphical brand elements translate digitally, including on mobile devices, has to take center stage with all existing and new branding efforts. What can you do to adapt? Don’t begin your strategic thinking within the old model. Start your new law firm branding efforts by looking at the digital world first, then work backward to the traditional uses. Transitioning your brand guidelines for use in the digital world can be difficult. Key elements like fonts, color use and line spacing fail to translate in some cases. I recommend that you become deeply familiar with your style guide. (You do have a law firm style guide, right?) Your thorough knowledge of your firm’s design protocols will come in handy when working on your LinkedIn and Twitter pages, which have their own preset destinations for logos and other brand elements, as well as file size limitations, which might require you to deviate from your predetermined guidelines. Your law firm brand has to be consistent not only externally but also internally. For internal use, ensure that you have simple-to-use templates for some of the business collateral used across the firm, such as letterhead and PowerPoint slidedecks. In addition, creating and sharing a cheat sheet of basic style guides and color codes for your brand will ensure that your legal marketer or attorney can incorporate your key brand elements when using social media or online applications like Prezi. Long ago, your law firm logo and color palette had designated Pantone colors that were consistent when indicated for any off-set printing project. A second option was created that had these colors converted for off-set printing to four colors called CMYK (Cyan, Magenta, Yellow and Black) – the elements that make up full-color printing. Using CMYK often reduced your printing costs by eliminating the Pantone colors. These colors would often be adjusted for a closer match from the standard color conversion, which often was way off base from your original designated Pantone color. With the explosion of the computer digital world, brands now must add yet another set of art files and color codes to their color palette branding standards, to represent colors on computer monitors and electronic devices. Depending on the use, these codes would either be RGB (Red, Green and Blue) – the colors that make up how monitors create colors – or Hexadecimal (Hex) Codes for websites and social media sites. A Hex Code starts with a hashtag and is followed by a set of six letters and/or numbers. When it comes to your website, fonts have come a long way. For years, everyone’s site used Helvetica, Arial or Times. Now, there is a large selection of web fonts that you can either purchase through monthly plans offered by sites such as fonts.com or link to for free at Google Fonts. While you still may not be able to get an exact web version of your brand font, you can usually find something similar. This variety allows your site to be a better, more harmonious extension of your brand and helps your law firm website stand apart from all the other firms out in cyberspace. How you use your logo and other design elements will change in print versus digital materials. For example, with digital, file formats vary depending on the end use. Logos with small type or fine lines will start to look fuzzy or break apart on a monitor. As web development technology advances, consider using SVGs (Scalable Vector Graphics) file formats of your logo and other graphic elements on your website. Remember that, while your logo may reproduce well in a reverse image on a color background on your printed brochures, it could get lost when done that way on a social media site. Consider being a bit more conservative with the use of your color palette when working in the digital world. A large solid area with white or a color type over it could look great in a printed project, but it may be hard or impossible to read when used digitally. Remember, in the digital world, type size in combination with color and contrast matters. Brands in the digital era have to break out of their static, ad-driven definition and drive everything from your social thumbnails and mobile typography to overall content strategy. Even the clearest guidelines for elements like logo treatment and Pantone palette don’t account for new digital contexts, where brand communication is inherently more vibrant and dynamic. For example, consider giving your brand some additional impact by occasionally using an animated element that does not distract from the brand itself. A law firm could use such a feature between webpage loads or within digital ads. Confused about how to transition your brand into the digital era? Contact me, Alan E. Singles, at asingles@jaffepr.com with questions or requests for assistance in developing your digital brand. 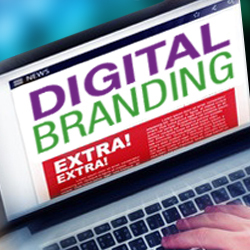 Or leave a comment below on how your law firm has tackled branding in light of today’s digital challenges.